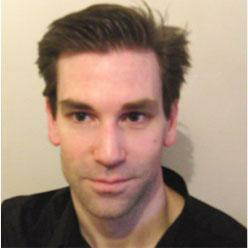 Emmanuel is a Belgian Physical Therapist specializing in sports rehabilitation. He has been in practice since 2001. He is skilled in manual therapy, functional screening, strength and conditioning and motion analysis in multiple sports. Emmanuel specializes in golf and tennis. His passion for biomechanics lead him to study these sports motion analysis in depth. He had the opportunity to work with some of the best female tennis players in the world including former number one, Justine Henin, as well as with elite junior golf and tennis players. Emmanuel is also a lecturer for a Belgian University and is part of the TPI’s French team.